Modern advances in corrective eye surgery have opened up the possibility of undergoing laser treatment to improve eyesight and greatly enhance quality of life. But as always, the surgery does involve some risk and if you have suffered through negligent treatment you should call us for advice on your eligibility to make a compensation claim. The surgery involves using a computer guided laser to reshape the cornea, and if successful it can remove the need for any kind of extra visual aid. But the eye is one of the most sensitive parts of the body, and the slightest error or misjudgement can cause extensive damage. You have placed your complete trust in your doctor and you expect the highest level of professional care. 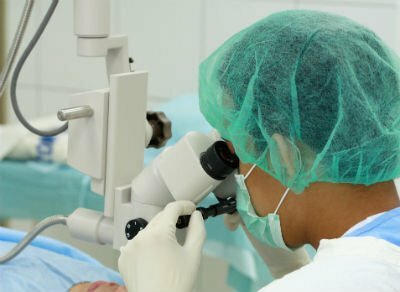 Possible errors include negligence which leads to the build up of fluid in the eye, or failure to diagnose retinal detachment or tears, glaucoma or malignancy, or even straightforward surgical accidents. Making a claim involves a great deal of detailed analysis of practice, guidelines and general medical opinion, as well as the specific circumstances of your case. Let us help you win the compensation you deserve for the distress and suffering caused through no fault of your own.